AS MY Ecuadorian stint in Brazil nears its conclusion, it’s becoming harder and harder to ignore the fact that my re-entry is far from certain. Despite doing my best Frank Abegnale impersonation thus far, my 3rd major entry, and 1st as an American, will be my riskiest. 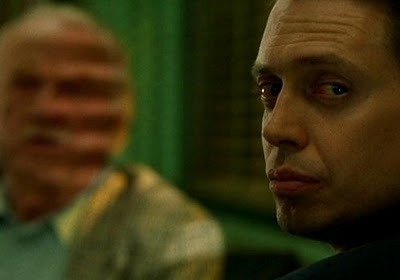 Should my visa application be rejected in Miami, I’ll have to try to come in as a Spaniard again, well outside of my last 180-day stay, but using a passport that may have already been flagged by The Visa Nazi. Make no mistake, deportation is the odds-on favorite this time around when I arrive at Guarulhos on April 21st. So what’s a three-passport-toting, fun-loving expat to do? The same thing I always try to do when faced with a dilemma: Turn it into a positive and make the most of it. 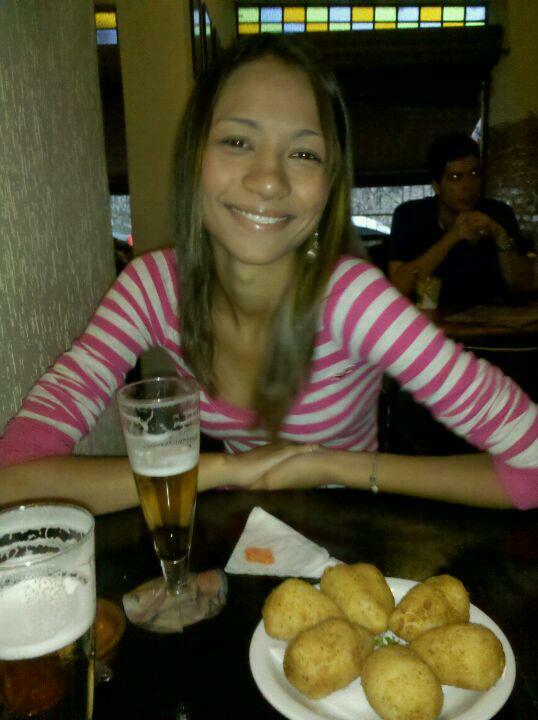 If this really is my last stand in Brazil until 2013, I’ve got sights to do and things to eat. People to see and places to be. Just like Andy Garcia’s ill-fated Jimmy The Saint character, who I quoted above, my days may be numbered. It’s time to settle all business, and hopefully have time for one last milkshake. Or açaí. Spend An Afternoon at Parque Ibirapuera- Some have ambitiously labeled it “São Paulo’s Central Park”, which is an insult to both. But any insecurities that Ibirapuera may have are more than made up for by its abundance of art (most of it free or less than 5 reais) and relative tranquility. 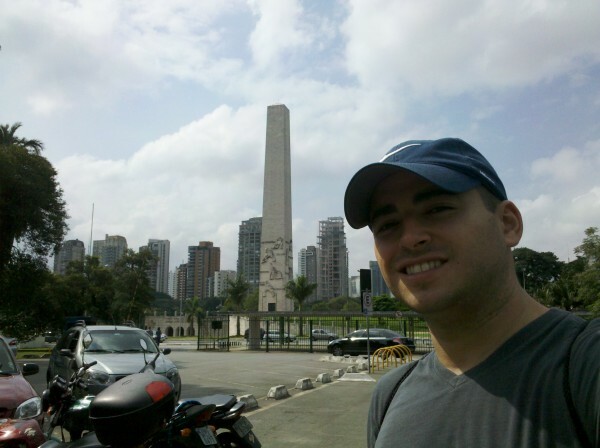 I prefer the other common analogy, which refers to Ibirapuera as “São Paulo’s Beach”. Indeed, Paulistas storm the park on weekends and holidays in search of bike rentals, shaded running trails, free concerts and the “Flintstones Gym”, known as such due to its outdoor and primitive nature (e.g. you can bench-press a log, curl two paint cans filled with concrete, etc.). But once you’re done getting your fill of exercise and culture, don’t leave without trying a fresh Agua de Coco, (4 reais for 500 ml) or taking in the fountain show, which with luck, will never be referred to as Sao Paulo’s Bellagio fountains. 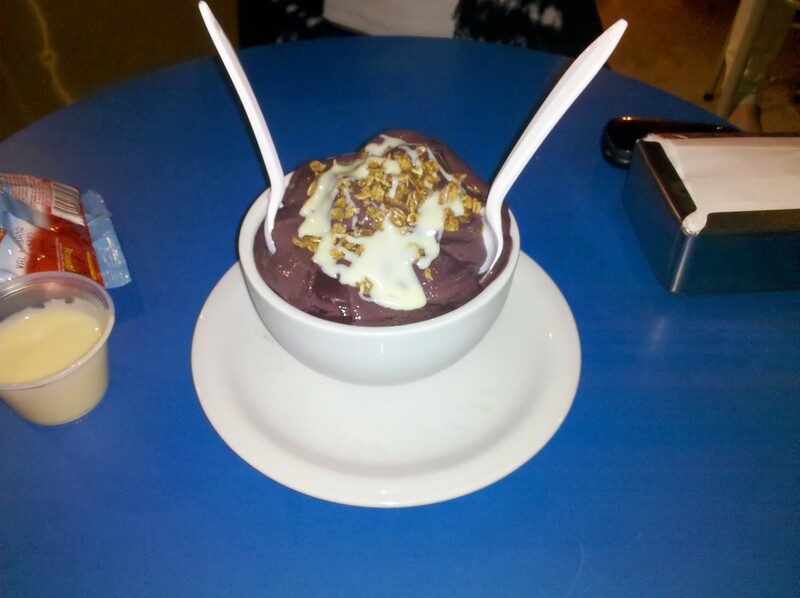 Re-energize at Posto de Açaí- No execution would be complete without a last meal, but where to throw down? Pilico e Bea’s moquecas and bobós are to die for, but Miami’s seafood is top-notch, so frutos de mar are not a priority. Mr. Mills is home to one of the meanest burgers I’ve ever devoured, but its purpose-built to resemble an American diner, so a trip here would be silly with Five Guys and Le Tub awaiting me in South Florida. Piacello, the tastier-and-not-quite-as-burnt Anthony’s Coal-Fired Pizza of São Paulo, is another alternative, but they’re takeout-only, which takes away from the experience. Which leaves us with Posto De Açaí. The 24-hour, roadside açaí specialist is attached to a gas station, 1/2 a block from Metro Paraiso. Free Wi-Fi, MMA replays, nutritional facts (a rarity in Brazilian eateries) and a plethora of toppings for your generous portion of puréed superfruit make this open-air ‘post’ a Paulista favorite. It’s as authentic as it gets. Catch Up On My Soccer History At The Museu do Futebol- Closing in on one full year doing my best Paulista impersonation, it’s amazing to think that I’ve yet to visit the Soccer Museum. 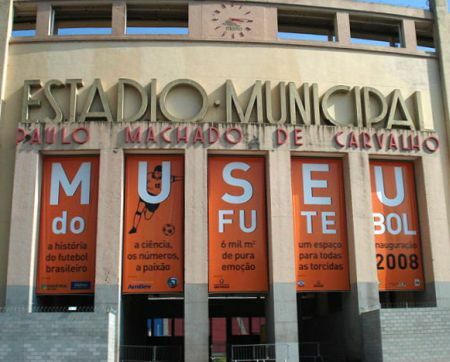 One of the newest and most high-tech museums in the country, the Museu do Futebol is a must-see for me as I prepare for Decisão 2012, where I will choose a team to support for this season and beyond. Suggestions are now being accepted. Every opinion counts. 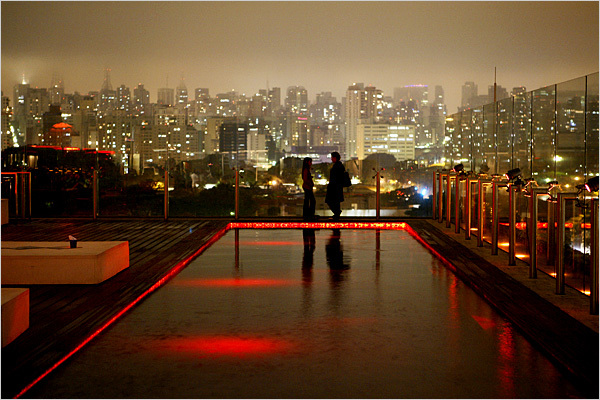 São Paulo lights up the night, as seen from atop Skye Bar. Enjoy The View At Skye Bar- Adding to the list of no-brainers I’ve managed to sidestep in my first 11 months here, The Skye Bar atop Hotel Unique has one of the best views in São Paulo, and is one of the trendier places in the city to have a drink at. SP’s answer to Uruguay’s Chivito: The Mortadella Sandwich. Tackle The Mortadella Sandwich At The Mercado Municipal- Perhaps the single-worst omission on my São Paulo list thus far is the Mercado Municipal. I’m a foodie at heart, and every time I see Bourdain tackle the Mortadella Sandwich, it reminds me how big of an idiot I am for not having gone there yet. Sure, I’ve had a mortadella and cheese sandwich many a times since my arrival. But the Mercado variety allegedly has the perfect ratio of fatty mortadella, toasted bread and gooey cheese. So never mind the endless array of fruits, vegetables, meats, nuts and other edibles. 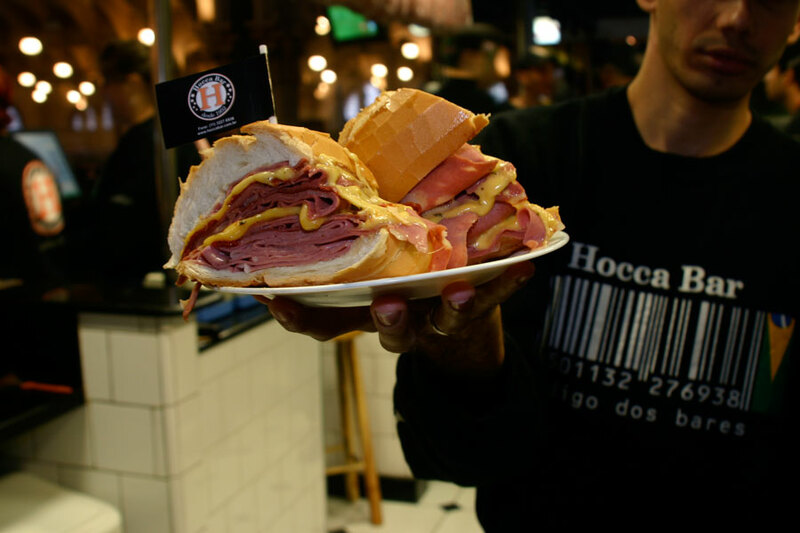 The sandwich alone is legendary, and having taken down the storied Chivito in Montevideo, I would never live down passing on the classic Paulistano breakfast sandwich. 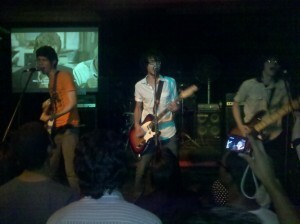 Where can you catch a killer local rock show with a subtitled “Airplane” screening in the background? Rua Augusta, of course. Take a Stroll Down Rua Augusta- São Paulo’s critics will tell you that the city works too much, and that it’s characterized by fast-paced, consumerist yuppies. I like to think these haters have never been down Rua Augusta. The most eclectic, alternative street in the city will introduce you to all walks of São Paulo life. Gays, strippers, metal heads, foodies, transsexuals, hipsters and much more, all on the same block in some instances. 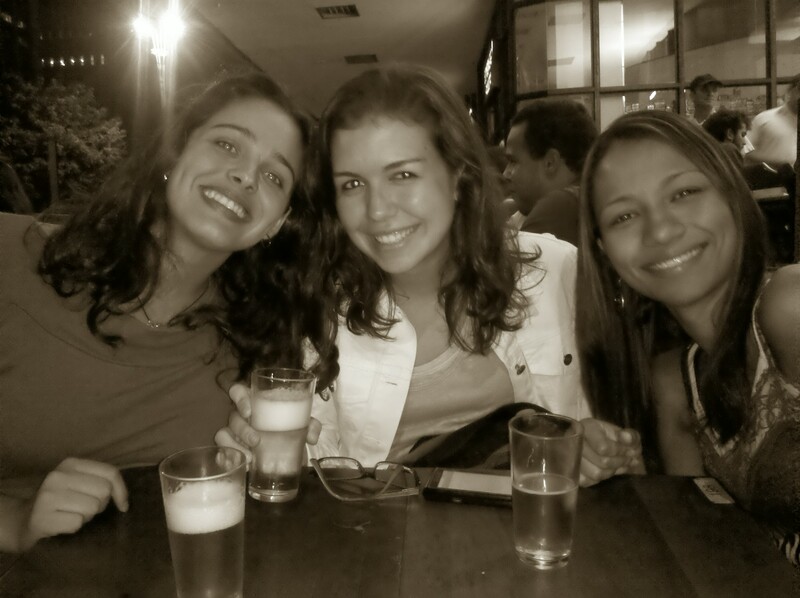 They crowd the narrow sidewalks, buying beer or mixed drinks out of a cooler (sometimes out of a car trunk), and deliberately working their way through boteco after boteco before filing in to the bar or club of their choice around 1am, only to emerge at 5am when the Metro gets cranking again. Nowhere else will you find a restaurant, next to an independent cinema, next to a nudie bar, next to a lounge, next to a nightclub, next to another nudie bar. It’s São Paulo in a nutshell, a microcosm that proves this metropolis is much more than stressed-out executives and overcrowded shopping malls. Pretty much all a grown man needs, in one frame. Coxinhas and Choppes at Bar Veloso- The coxinha is a Brazilian creation whose description doesn’t do it justice, and while a few other variations around the city have their own following, none of them, in my opinion, top Veloso’s recipe. With a perfect harmony of catupiry (a soft, cream cheese-like delicacy) and frango (chicken), and bottles of hot sauce waiting on the side, you’ll throw down a half-dozen of these eye drop-shaped croquettes before you can order your next beer. And with the waiters circling nonstop, refilling your Brahma chopps and tallying your choppimetros and coximetros (their in-house way of tracking your consumption), it’s no wonder Veloso is one of the toughest seats in town. 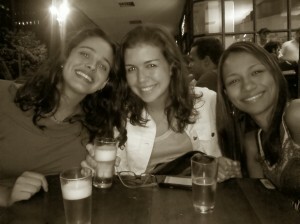 Drinks at Charme Da Paulista, just across Parque Trianon and MASP on Avenida Paulista. Work My Way Down Avenida Paulista – Serving as Exhibit A of the “São Paulo-is-kind-of-like-New-York” logic, Avenida Paulista is where São Paulo hits its full urban stride. From the iconic MASP, to classic bars like Charme Da Paulista and Choperia Opção, Paulista’s wide avenue features an even wider variety of arts, culture and nightlife. And if you’re in need of a breather from the hectic pace of the city’s busiest street, Parque Trianon and Livraria Cultura are smack dab in the center, nestled just far enough from the main drag to get some peace and quiet. How each team views the other team’s fans. Attend My First Futebol Match- As Decisão 2012 gets closer, and despite many failed attempts, I have yet to attend a soccer match in São Paulo. With the Big 4 of Corinthians, Palmeiras, São Paulo and Santos all vying for my undying devotion, this will be the most difficult thing to fit in before my April 13th departure. 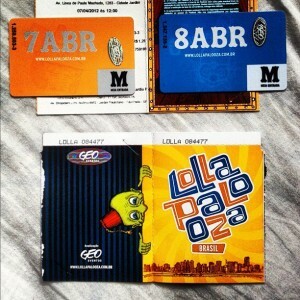 Rock Out At Lollapalooza São Paulo- I’ll never forget the moment I emerged from Chicago’s subways to the sound of Kings of Leon’s “Closer” as I prepared to attend my first Lollapalooza. Having moved to the Midwest a couple of months earlier, going to Lolla that year was an exclamation point on the fact that I was no longer in Miami, having left my home of 15 years for adventure, opportunity and growth. 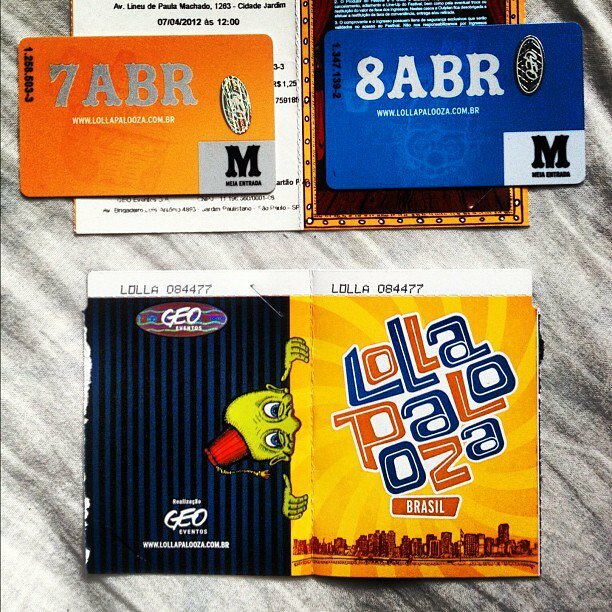 When I attend Lollapalooza this weekend in São Paulo, it will be just as momentous, marking yet another adventure, hopefully still far from being complete. Of course, these 10 things are a mere scratch on the surface of what São Paulo has to offer. While Rio is a lot easier on the eyes, São Paulo has a pulse unmatched by other Brazilian cities. The people are gritty, the energy’s contagious, and there’s never a shortage of places to be or things to do. Especially when you’re getting deported. 50% de tudo o que está escrito no post é sobre comida e bebida! 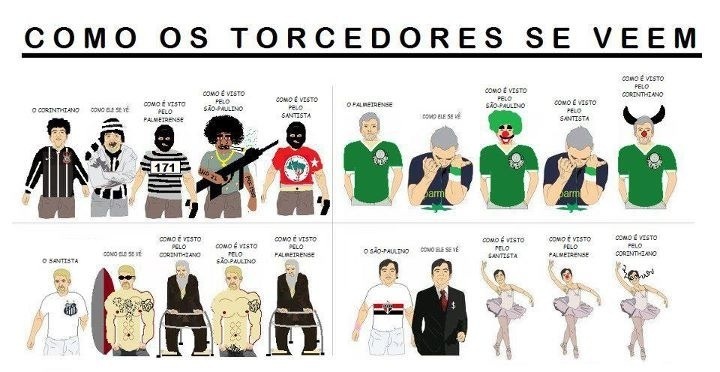 :) Monstrinho! Nice picks, for whatever is worth it has been a pleasure having you around kid!!! I have faith in your come back!!! Cheerssss!! Thanks Mata, The Britos are 10kHall of Famers, pleasure’s all mine. Let’s do that sushi spot too for lunch next week, if I’m going down I want to go down (with my chopsticks) in flames! Please let him back in. We would really appreciate it! Thanks Uncle Sam. See you Friday!